British armored TD line is into the spotlihgts. Top of the Tree usualy last whole month, but there will be replace on tier X. And patch should be relased on 13th December and after Badger replace Death Star, Top of the Tree special will be over. Before big discounts WG is going to give us a chance to collect some credits. There will be mission for larger payday. And X2 for crew. For two weeks, Tuesday to Friday, there will be X3 XP for your first victory. And some missions with minor rewards. Some smaller discounts and missions. Preparation for bigger stuf. The real discount starts here! Big discounts on vehicles, Premium Account, and other. 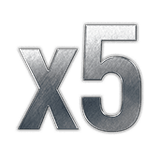 x5 XP multiplier and missions for food in game. Tasty! 30 December–1 January: Happy New Year! final push of discounts and bonuses. X3 XP for the weekend.